Over the last several years, Congress and Defense officials have made increasing investments in “cyber ranges” so that the military’s cyber teams can conduct exercises to help them prepare for actual attacks by sophisticated adversaries. But at least so far, those ranges have their limitations. By design, they’re isolated from operational networks, and look a lot more like sterile data centers than modern battlefields. Consequently, they can’t show cyber defenders (or attackers) how the actions they take on their keyboards interact with the real world. That’s starting to change. The Army, with help from the SANS Institute, is beginning to conduct its cyber exercises in a physical training space that closely resembles a fully-functioning city. In a training scenario set to begin next week, soldiers from the service’s Cyber Protection Brigade will try to defend a deep water port from foreign hackers who’ve infiltrated systems that control cranes and other industrial machinery in the physical world. That’s only possible because the 400-acre Muscatatuck Urban Training Complex, in southeastern Indiana, actually has a port — at least a small-scale one. It also has a functioning power grid, complete with all of the programmable logic controllers one might find in a real-world system, a subway station, a water treatment plant, and many other features of modern urban life a foreign power might target in an actual cyber attack. Built nearly a century ago as a state mental institution (the “Indiana Farm Colony for Feeble-Minded Youth”), Muscatatuck eventually came into the possession of the Indiana National Guard. Since then, the Army has constructed more and more features so that it resembles a modern city, and operates like one. In one of the proof-of-concept events that helped lay the foundation for next week’s port exercise, soldiers were tasked with defending a prison from a cyber attacker who’d made their way into the systems that controlled the locking mechanisms on cells and other physical systems. In that event, the defenders were Army cyber protection team members, with SANS experts playing the “red team” attacker role. Daniel Yeager, a cyber support technician for the Muscatatuck Urban Training Center, briefs Col. John Branch, commander of the 780th Military Intelligence Brigade (Cyber), March 15, on the capabilities of the Cyber Operations Center, in support of tactical and cyber operations at MUTC, Butlerville, Indiana. For the upcoming port exercise, Army officials have asked SANS to make the scenario as realistic as possible. That means the cyber teams who will try to defend the port will arrive by helicopter, and bring all of their gear with them. If they accidentally leave a piece of vital networking equipment behind, they’ll have to live without it. So far, the cyber-focused training events are happening one at a time. But considering the infrastructure the Army has already built at Muscatatuck, there’s no good reason the Army could not use it for multiple scenarios at once. Depending on how well the concept works, it’s conceivable that the idea could be expanded to other military training facilities. But that might prove difficult. DoD owns and operates many other training environments that are designed to look like cities, such as the National Training Center at Fort Irwin, California, but they’re not wired in the way that Muscatatuck is. Army leaders appear to agree. 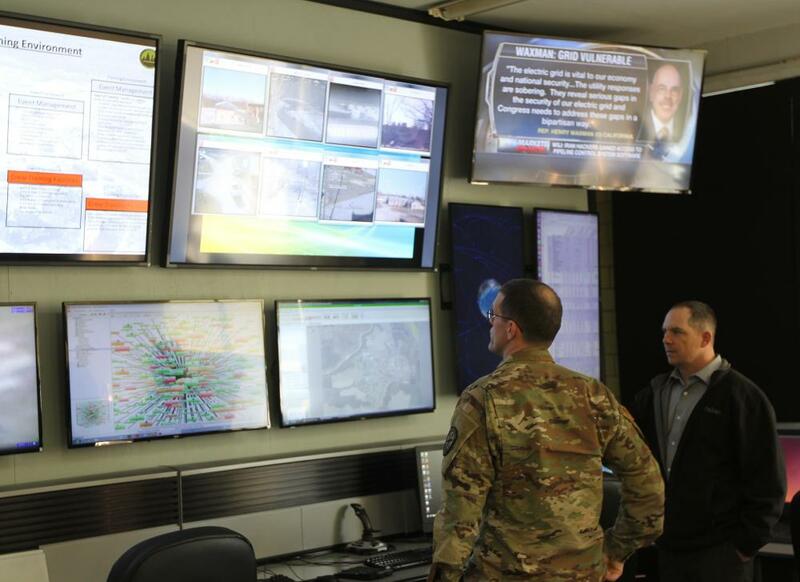 The facility’s cyber exercises have attracted visits from several high-level officials in recent months, not just from Army Cyber Command, but from the secretary of the Army himself. Along those lines, the Army and SANS are also working on plans for future exercises that would not only construct cyber-specific scenarios, but also layer cyber effects on top of the more-traditional training exercises the Army has been conducting at Muscatatuck for years.